From shop floor apprenticeship to After Sales Manager in the retail motor industry, became a motor Claims Engineer, and now a specialist in Motor Salvage and Automotive Recycling. Have a desire to raise professionalism within the global Auto Recycling industry, support and develop talented people within the industry who will be able to improve and advance auto recycling across the world. 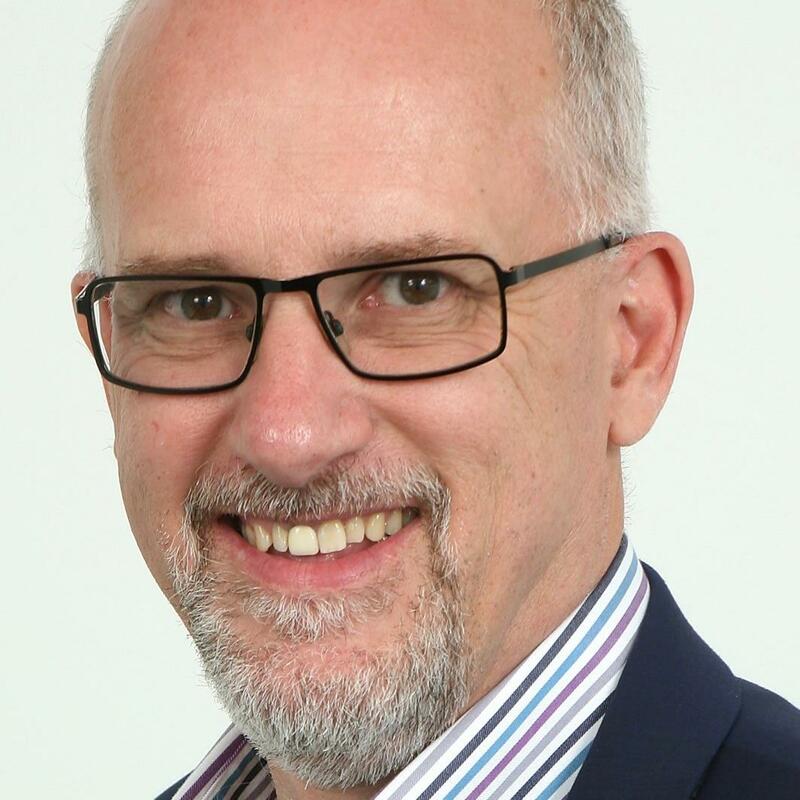 Member of the Steering Committee for the bi-annual CARS Expo (www.cars-expo.com), Chair of the Technical Advisory Committee of the Automotive Recyclers Association and member of the Management Committee of the UK Vehicle Recycler's Association (https://www.vrauk.org). Registered as Incorporated Engineer (IEng) with the Engineering Council UK, Advanced Automotive Engineer (AAE) and Fellow of the Institute of the Motor Industry (FIMI). Mike Hourigan is a refreshingly unique keynote speaker, change management expert and author who empowers the country’s top companies to navigate constant change with real-world wisdom. A veteran leadership consultant and productivity expert, Mike is consistently sought after and hired by the top companies in the U.S., including McDonald’s, Harley-Davidson, Disney, GE, Marriott, Aetna, ExxonMobil and Kaiser Permanente. Decades of corporate experience have allowed Mike to develop a completely fresh approach to team building, sales management, safety and customer service training. With a style that engages listeners in a way that’s meaningful to them and their company culture, Mike rarely gives his audiences a moment between laughs. As one of the top keynote speakers in the United States, Mike has developed a comprehensive roster of speeches that address the key issues that affect companies most. 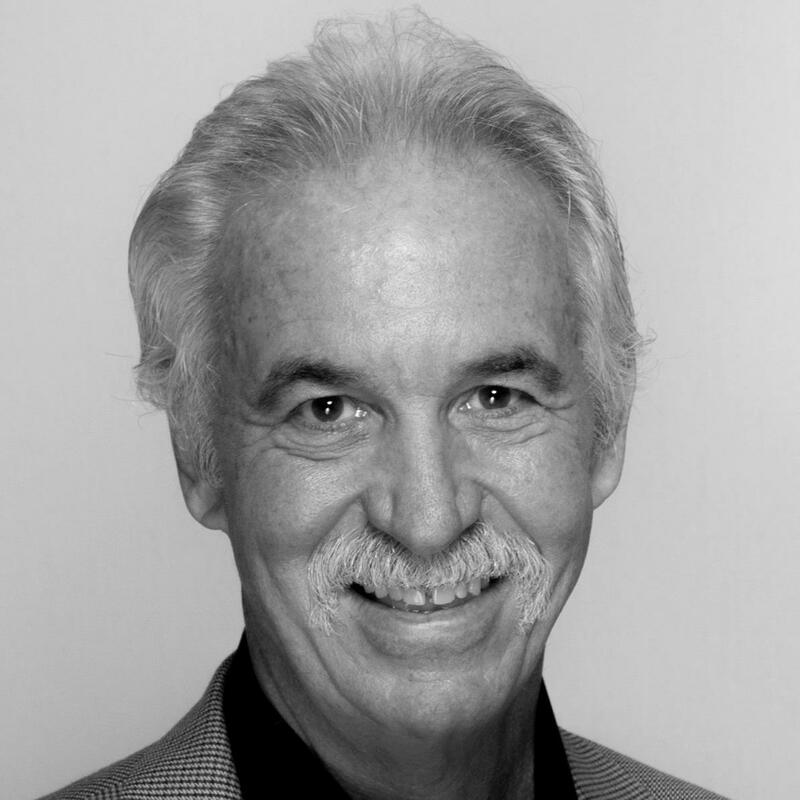 From the growing need for soft skills training and interpersonal communications, to the subtle nuances of conducting business in a global economy, Mike Hourigan continues to the lead the industry in dynamic presentations that direct executives and entire companies toward real, lasting change. Audiences say his honest humor and exuberance for life find a way of impacting everyone and leaving them with a willingness to confront the important issues and laugh at the less important ones. 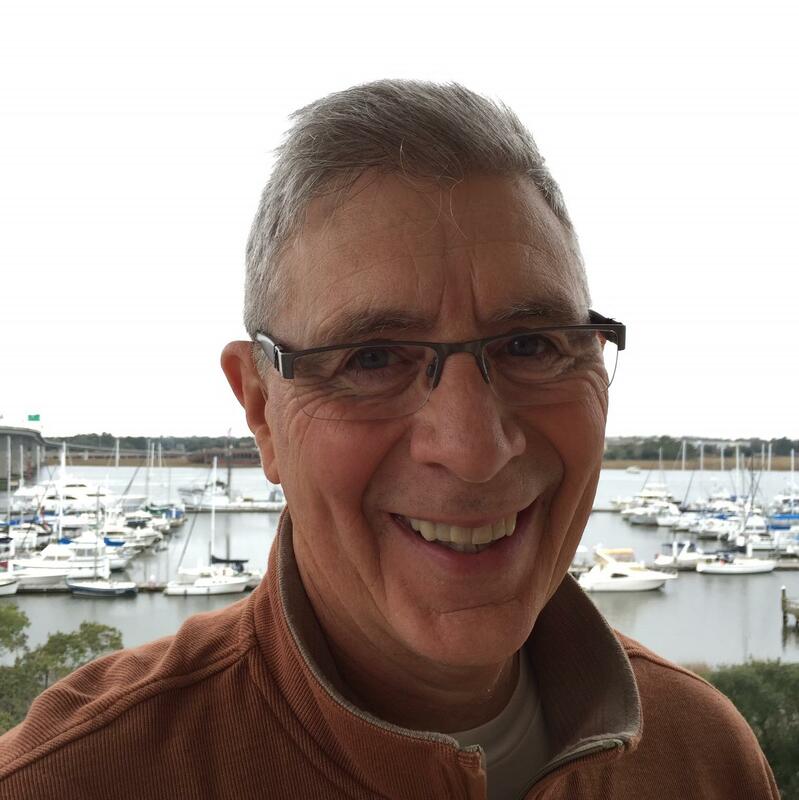 Meeting planners agree you will appreciate Mike Hourigan’s passionate perspective, energetic eloquence, customized content and genuine concern for his audience members. D.J. Harrington, CSP is a bestselling author and the President of Phone Logic, Inc. an international training company based in Atlanta, Georgia. D.J. serves as a consultant and trainer to over 1,000 privately owned businesses throughout the country, training personnel at all levels of the company. Known as the “Doctor” to some and the “Car-Diologist” to others he has presented well over 2000 programs globally. 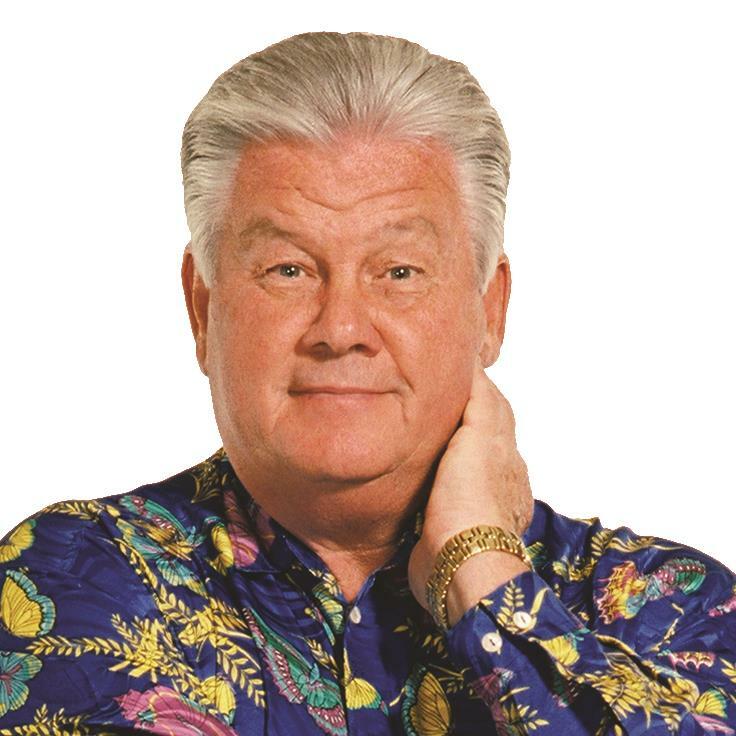 He has had a blessed life and been awarded the prestigious Certified Speaking Professional (CSP) designation by the National Speakers Association. He contributes much of his success to his experiences as a graduate of Saint Leo University. D.J. combines his knowledge, high energy and humor in a thought-provoking, fun, interactive learning environment. He leaves his audience with practical advice and methods to succeed. His years as a sales trainer and motivational speaker, in a variety of industries, have provided D.J with an outstanding background which he brings to every clinic and seminar. DJ can give you a “tune-up” or a “complete overhaul”. Richard Flint, CSP is one of those unique people who has been given the ability to see the clarity in the midst of what looks confusing. Since 1980, he has been sharing his insights and philosophies with audiences all over North America. He is known as the person who knows you even though he has never met you. He has written 13 books and produced more than 100+ audio and video learning programs. 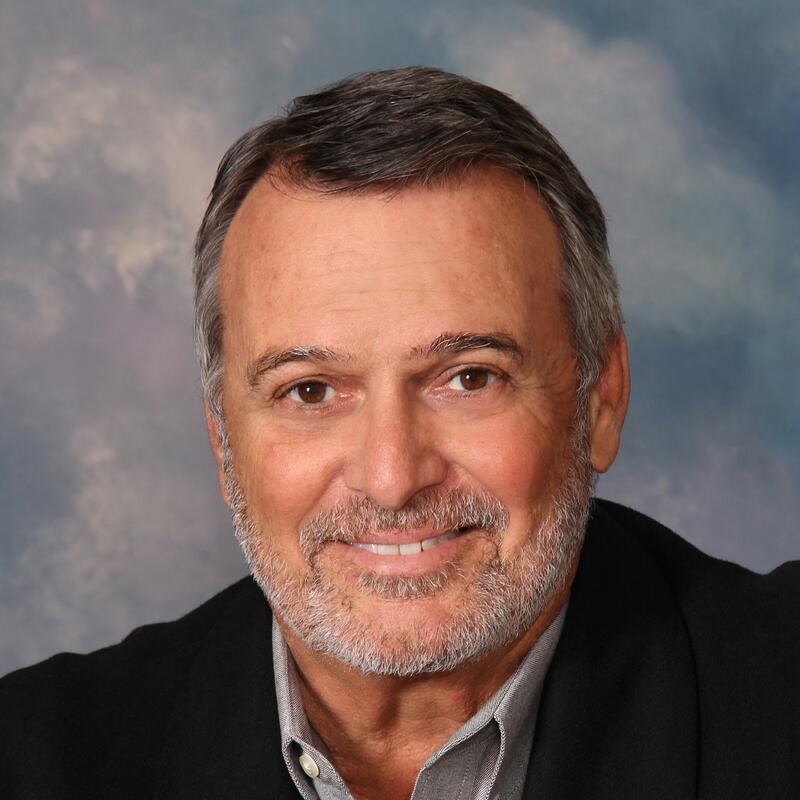 Beyond being a nationally recognized speaker and author, he is a lifestyle coach to many who are seeking to stop repeating and start achieving, and a frequent guest on radio and television talk shows. But more than all this, you will find him to be a friend whose understandings can calm your emotional confusion. 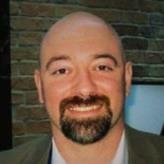 Dave Apseloff is the National Supplier Director for PartsTrader and oversees supplier relations for PartsTrader. The PartsTrader marketplace & application entered the United States in 2013 and has had multiple insurance carriers adopt the platform, as well as, deeper adoption by independent collision shops for their parts procurement. Dave joined the PartsTrader team in 2013 with the goal of adding focus to the supplier portion of the parts procurement chain. In addition to his management of the PartsTrader supplier network, Dave is also responsible for building key industry partnerships that provide a more efficient and transparent purchase and sale of parts. Dave and his team currently interact with the PartsTrader supplier network and stakeholders providing insight and suggestions for advancement within the marketplace. Prior to PartsTrader, Dave spent over 25 years working in the automotive industry working in a training, consulting, sales and General Manager capacity. 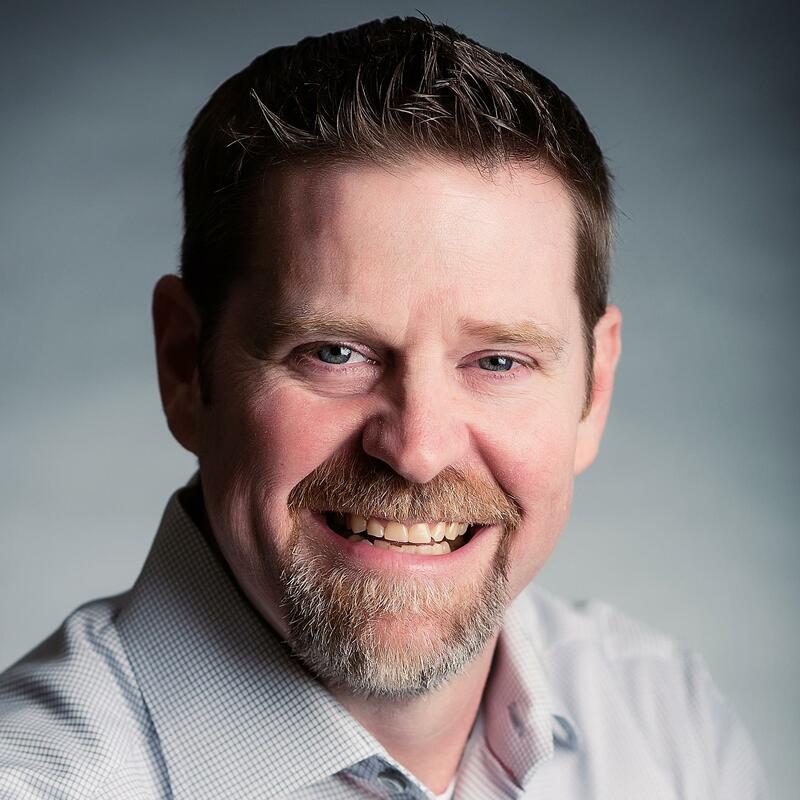 Some of Dave’s primary focused disciplines have always been leveraging and marrying the effective use of software & technology with organizational people and processes. 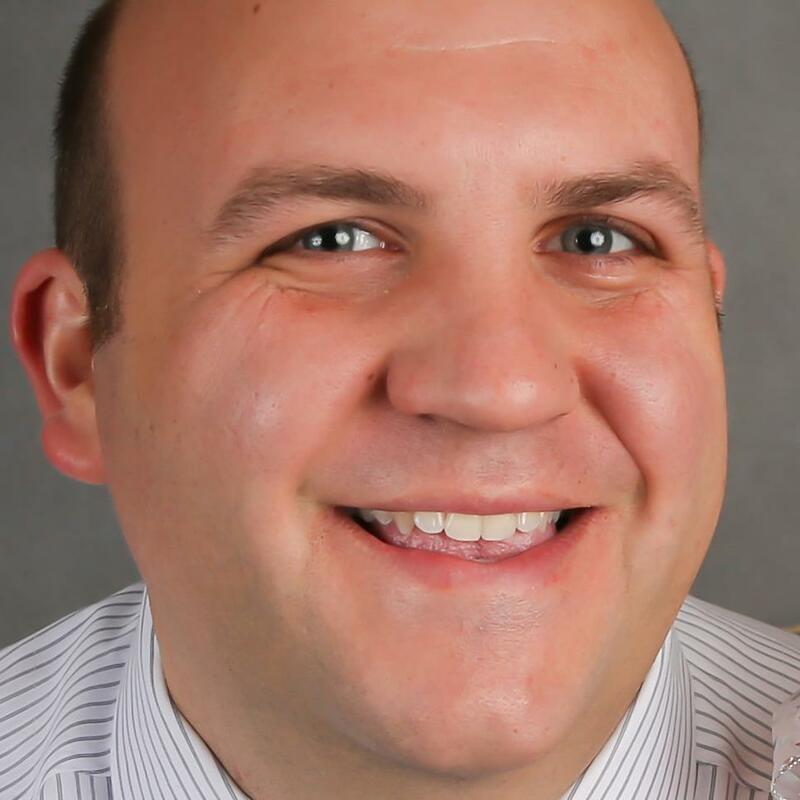 Dave also holds several technical & training certifications, a CPA designation, and a Bachelor of Science degree in Accounting & Finance from Wright State University. George began his career in the auto body repair industry working as an auto body technician and painter in Southern California USA. George joined State Farm Insurance working in various roles as an auto estimator, estimator trainer, auto claim representative handling property/ injury claims and management. George moved to the State Farm Home Office in Bloomington Illinois as an auto claims instructor. He was later promoted to management in the Learning and Development department where he was responsible for developing and delivering auto estimating curriculum for auto estimating personnel and management companywide. George assumed an Auto Estimating Consultant role in the State Farm Property and Casualty Claims department. Responsibilities included providing guidance and direction to management in multiple states. As a corporate consultant, George served as the committee chair for several corporate committees responsible for auto estimating procedures companywide. George served as a resource for media requests and managed the State Farm Repair Facility Advisory Council. Since 2005 George served as the State Farm spokesperson to the auto repair industry. George speaks at local, national, and international industry events providing insight on repair issues with industry associations and trade groups as well as the media. After 37 years George retired from State Farm Insurance in June of 2016. Since retirement, George continues to speak at conferences and other speaking engagements on a variety of topics. 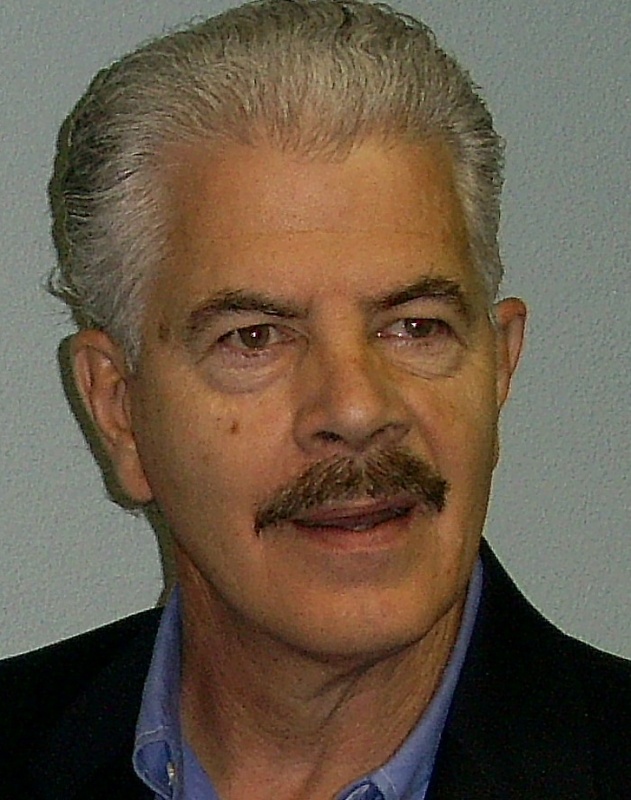 George is a Past President of the National Auto Body Council (NABC), has served on the Collision Industry Foundation (CIF) Board of Trustees, is a Past Chairman of the Collision Industry Conference (CIC), and a recipient of the Hall of Eagles award for his efforts in the auto body repair industry. Jeremy, a native of Fort Myers, Florida, joined the United States Army (Active) in 1999 at the age of 17, as a Heavy Wheeled Vehicles Mechanic. He has served honorably in the US Army for 11 consecutive years and obtained the rank of Staff Sergeant (promotable). With 1 Tour in Korea, and 3 Combat tours in support of Operation Iraqi Freedom and Operation Enduring Freedom. Upon completion of Active Duty Service, Jeremy began a career at Snyder’s performing multiple duties such as Dismantling Salvage Vehicles, Inventorying Salvage Vehicles, and leading the first ever Receiving Department at Snyder’s. In October of 2011, Jeremy was promoted to Dismantling/Inventory manager where he assumed responsibilities of the Inventory/Dismantling process, the Monthly Crush Cycle, Core and Commodities sales, the New/Aftermarket Parts Warehouse, and the Receiving Department. Jeremy and his wife Marscha are the proud parents of three wonderful children and are approaching their 16th Wedding Anniversary. 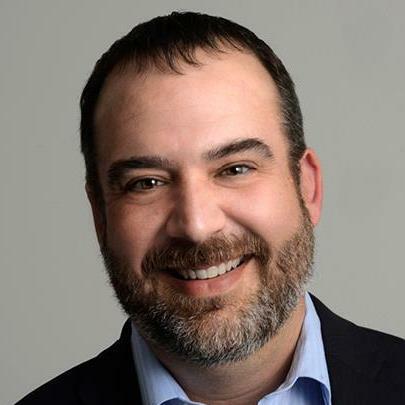 John Bean is the Vice President of Centralized Operations of IAA where he leads several internal and external facing customer service operations including transportation, CAT services, and title centers. 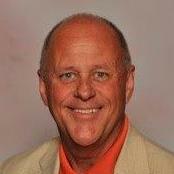 John started with the company in 1995 as a CSR at the IAA Charlotte, NC branch. He then moved to several areas of the organization including specialty, IT, and branch management. With a specific on continuous operational efficiency, John has pioneered various technological improvements for the organization such as Auction Entry and Reporting, Inventory Reconciliation, Dashboard style reporting, and document management. John is also a certified Six Sigma Black Belt. Tom Bessler has been in the auto recycling business since 1985 and is the General Manager and Sales Manager of Bessler Auto Parts in Wilder, Kentucky. He has served on several regional boards for Team PRP, the national board for Team PRP, as well as the URG board. Tom has also been the training chair for Team PRP. He has shared his experience with fellow recyclers at many URG and Team PRP events as a speaker and is currently training sales professionals with Profit Team Consulting in the Dallas Fort Worth area. His primary motivations are his love for his family, sales, and teaching others his craft. Tom's love for teaching does not stop there; he also teaches religious education classes to 8th grade students at his local parish in Burlington, Kentucky. Tom is the proud father of 5 children, ages 11 to 24 years old, he has one granddaughter and has been married to his wife, Laurie, for 27 years. He hopes his enthusiasm and experience will motivate and help sales people and sales managers alike. Peter Bishop has spent the last 19 years working in the automotive recycling business. Peter served as the Managing Director of Actual Systems of America until 2014 when CCC Information Services acquired the Pinnacle YMS business from ASA. Today Peter manages Market Solutions for the CCC Pinnacle Yard Management solution and the recycler interface with the CCC Parts Network. 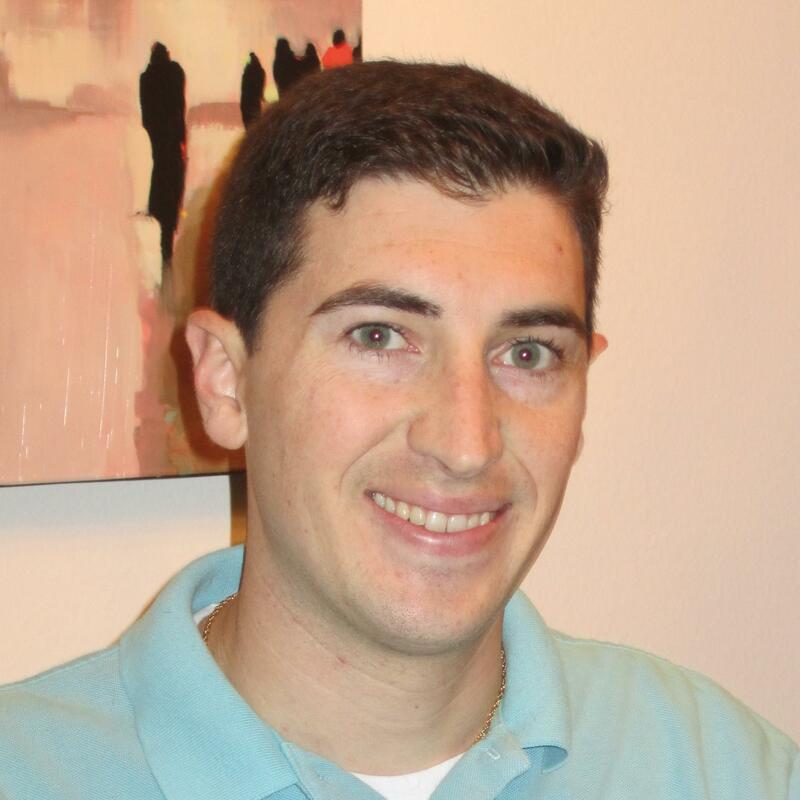 Nick Booras is the Director of Buyer Marketing and Development at Insurance Auto Auctions. IAA is one of the leading North American salvage auto auctions with the largest facility footprint, strong buyer base and high auction returns in over 170 corporate owned facilities across the United States and Canada. 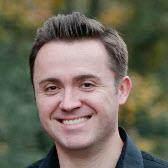 Nick wins, maintains, and expands relationships with buyers. In addition to Nicks’ extensive experience in buyer interaction and strategy, he manages gaps between buyers, branches, and others by fostering excellent communication internally and externally, and through strict adherence to channel rules of engagement. Prior to IAA, Nick also worked for other major car industries driving high revenues, creating exceptional customer satisfaction rates, and successfully completing company mergers. He has consistently set record paces of overall growth and launched dozens of global markets. I am Category Manager within the Parts & Accessories Category at eBay. I’ve been at eBay for nearly eight years, six of them spent within P&A. I’ve held many different roles during that time from site merchandizing to account management. But all of my roles have involved regular communication and visits to our most strategic partners. Sellers are the backbone of eBay’s success, and view every minute spent with them to be my most effective. I want to see our seller-community succeed, and believe my straight-forward and honest perspective will help make your long-term vision a little more clear. 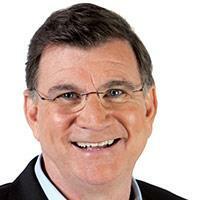 JC Cahill is a well-known industry speaker, consultant, and recycler. 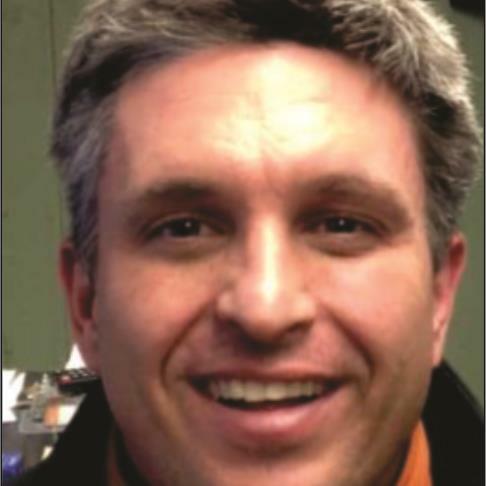 He worked for several years for both major consolidators at an executive level, serving as the National Sales Manager for GreenLeaf Auto Recycling and the Regional Director for B&R Auto Wrecking. JC also created the first hybrid self-service and full-service superstore for Schnitzer Steel. Today, JC is the owner of two successful recycling facilities: New England Auto and Truck Recyclers (NEATR) in Massachusetts, and Cahill's Auto Parts in New York. 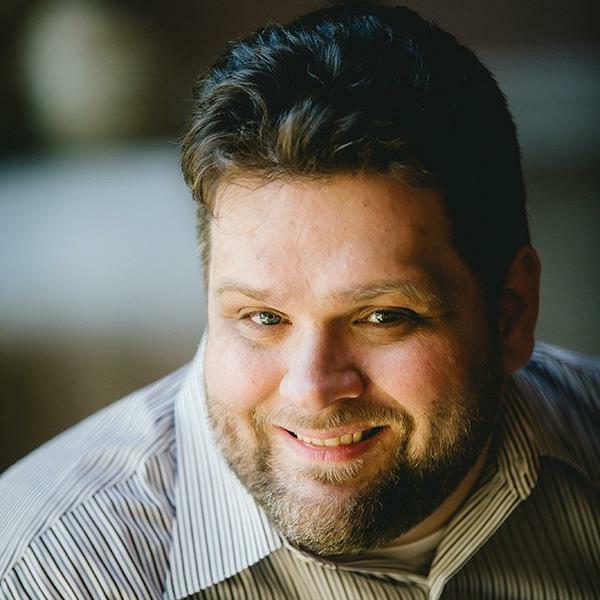 Mike Clay is the Founder of Break The Static, a digital marketing resource for business owners and coaching/certification program for web designers and seo consultants. In the recent past, Mike was the VP of Marketing at Network Empire and the Senior Coach for the Agency Growth Program and taught in the certification program (the first and longest running SEO certification online). While at Network Empire Mike taught over 15k students how to build Digital Marketing Plans, and how to grow their businesses using the very things they were selling to clients. Mike has been in the industry since 1993 building business pages in AOL's portal before he graduated high school. By 1996 he was building companies websites within the Geocities platform. 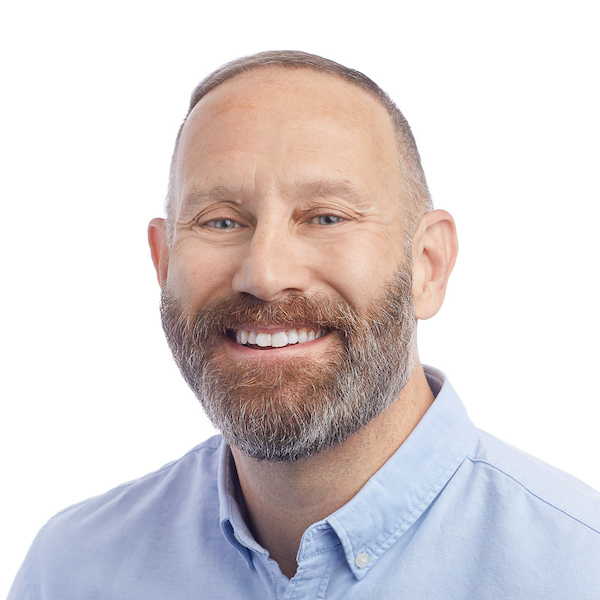 In his 26 years, Mike has launched multiple companies helping to launch multiple large Web Design and SEO firms and has worked as a consultant helping small web design companies scale and grow. Theresa is an on-the-ground representative for Car-Part.com. She consults with dismantling yards to help them decide which products in the Car-Part suite best fit their needs and shows them how they can optimize their part listings for online sales through eBay, Brokering, and Trading Partners. She does this by emphasizing the importance of accurate part grading and high-quality part images. She also stresses the huge value that cores have in today's market. Theresa has been with Car-Part.com almost 8 years. Previously, she worked at Nu-Parts Automotive Products for 10 years. Prior to Nu-Parts, she was the manager at Winter Auto Japanese Engines in Glendale, Arizona, and at AAA Economy Auto Parts in Phoenix, Arizona. With over 25 years of industry experience, she has seen the auto recycling world from almost every point of view. Theresa is on the Pennsylvania association event board, the Colorado association event board, speaks at industry trade shows, and writes a monthly article in The Recyclers Power Source, the Toolbox and several state association publications. Theresa also volunteers with ARA in fundraising and other programs. Oliver Cook is the lab manager at Legend Smelting and Recycling. He graduated from Ohio University in 2009 with a degree in chemistry, and worked as a quality control chemist in the pharmaceutical industry before joining LSR in 2011. At Legend, Oliver is working on multiple projects, including; maintaining the database for our converter pricing app, expanding the laboratory to increase workflow, and working towards ISO 17025 accreditation. After the science gets done at the end of the day, Oliver likes to go hiking in the Hocking Hills with his wife and daughter. Automated consulting analysis for progressive recyclers. Providing a business management system for your inventory management system. Designed to give recyclers the most sophisticated business analysis at their fingertips that is centralized and simplified. Currently, CBCDashboard is available for Pinnacle Professional and Powerlink 2 users. Analyze your business' database across all your devices. Have the data you need to stop working in your business and start working on your business. 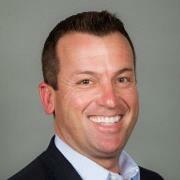 Chad performs remote sales management, sales training, individual business consulting, group owner meetings. Recently, emphasizing direct services to enhance recycler profitability such as hiring, sales management, data management and training services. M.A. Clinical Psychology, currently is a minority owner with Counts Business Consulting who has been a Consultant since 2010. Jim has owned and operated three successful automotive recycling businesses. He has been doing consulting for Auto Dismantlers from San Juan to Anchorage and Ottawa, Canada to Australia and New Zealand since selling his 3 recycling businesses in 1990. He has been a featured speaker at Automotive Recyclers Association, United Recyclers Group, APRAA and Parts Plus in Australia, Parts World in New Zealand, SGI Salvage, in Canada, Ontario Auto Recyclers of Canada and most state conventions. Jim is the author of management assistant software used by Pinnacle, Pinnacle Pro, Powerlink II and Bid Buddy and is best known for simple solutions to what often appear to be complex problems. He was voted Motivator Of The Year by The Locator magazine in 2005. 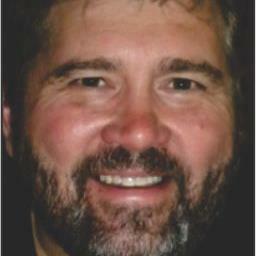 He also writes monthly articles for the Recyclers Power Source, Auto Recycler’s Association and the Tool Box Magazine. 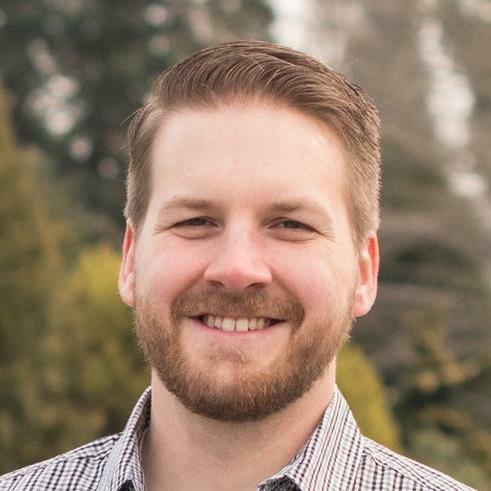 Robert Counts is a small business owner and currently works with automotive recyclers and towing businesses in the United States, Canada, and the U.K. Robert is the co-creator of CBCDashboard. CBCDashboard is a Business Management System analytics tool that automatically pulls data from POWERLINK and PINNACLE users’ database daily. It combines the IMS database information with personnel (number of employees), facilities and financial information entered by the user. Robert works as a Team PRP Profit Group leader in addition to conducting Owner's groups for independent companies. 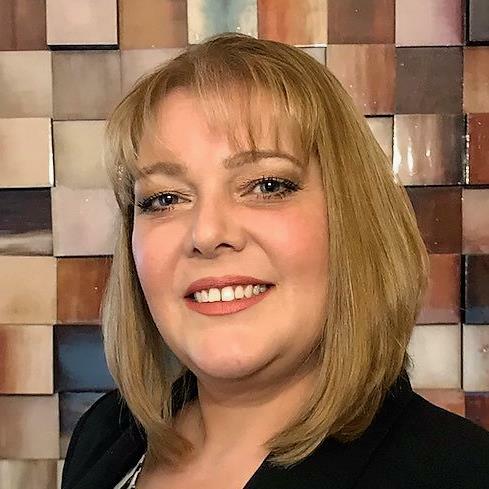 Cassie Crampton, sales director for Automotive Finance Corporation (AFC), has been in the auto industry for more than 10 years. She began her automotive career as internet director for a franchise group in Ohio. In 2008, Cassie moved to North Carolina so she could assist other dealers in improving their digital marketing/advertising presence. Working with large franchise dealer groups and independent dealers, Cassie spent the bulk of her time training best practices to improve dealership sales and profitability. Enjoying the entrepreneurial spirit of the independent dealer, she later joined AFC, continuing her mission of helping dealers realize their fullest potential with strategies that help them maximize profits. 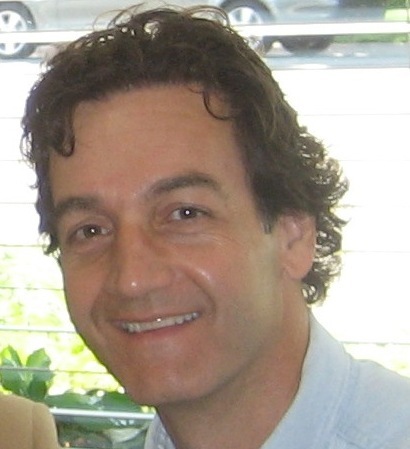 Paul D’Adamo is a high energy speaker with a unique perspective on auto recycling. Coming from outside the industry, Paul built a team that turned around an old school “junkyard” and turned it into a profitable, award-winning, auto recycling company. He and wife Lynn sold their business to a national auto recycling company in 2013. After serving as Regional Manager for Pick-n-Pull, Paul and Lynn founded Recycling Growth, a consulting and training company that served the auto recycling industry. He also served as Adjunct Faculty/Speech Consultant at Babson and Curry College. ASE Certified Master Technician Grew up in Wisconsin move to Texas after Technical College. Started out as c tech worked my way up to lead tech, Shop Forman then Service Manager. Moved back to Wisconsin for 1 year had one winter up there and came back. (too cold) I worked as lead tech/shop Forman for 5 years. I went to work at AER 1995 as warranty tech, in 1996 was promoted to warranty manager worked there until the startup of URG. 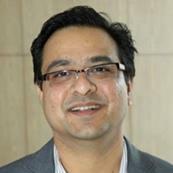 Harsh Desai, VP Product and Development – CCC Information Services, is currently responsible for product development of CCC Parts, Pinnacle Pro, and OEM (unconnected) product portfolio. Harsh has over 24 years of experience in software engineering, product development, and product management. Prior to joining CCC, Harsh was Vice President – Product Development at Manhattan Associates responsible for Transportation Management, Emerging products and Domain Architecture. Harsh earned his B.S. in Electronics and M.S. in Computer Applications from South Gujarat University, India. 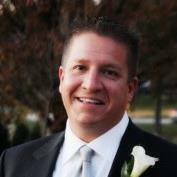 Ryan Falco is General Manager of Midway Auto Parts in Kansas City, Missouri. Midway, founded in 1986 is a full service auto recycling business, including a full service salvage yard processing over two hundred vehicle monthly, two self service locations, an aftermarket parts store and a car lot selling a wide variety of new and used vehicles. 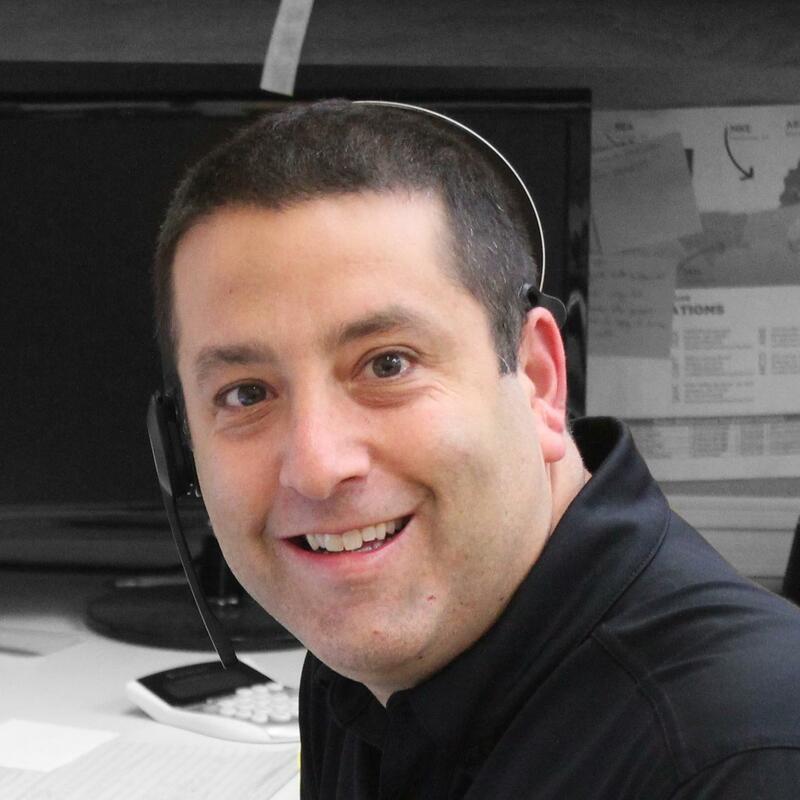 Mr. Falco started in the industry 8 years ago as an outside sales rep/driver for Midway’s Aftermarket division and quickly rose through the ranks, first managing the aftermarket division and the auto sales division, then as a sales manager for the full service yard until he assumed his current position in 2014, General Manager of all Midway’s divisions. He is well known and respected in the industry and has spoken at numerous national events for Recyclers including URG Conferences, PRP Conferences, CCC, CIECA and SCRS meetings. He is also currently teamed up the Profit Team Consulting and assists giving sales schools for full service parts salesman three times a year. Mr. Falco graduated from Kansas State University with a bachelors in business marketing. “I’ve sought to earn the respect of the leaders of this industry as someone they can trust, while helping revolutionize the alternative parts market through efficient and innovative products”. Garff has an extensive history in consulting & program management. Garff has spent the last 17 years with eBay in various roles, the last 7 years in eBay Motors specifically. Garff is responsible for driving growth across strategic sellers segments, creating and executing initiatives to grow the eBay Motors Parts & Accessory multi-billion dollar business and ensuring alignment between automotive and e-commerce standards to meet the growing consumer demand. Garff holds a BA from Brigham Young University. In his free time, he enjoys spending time with his children, grandchildren & working on restoring old Chevy trucks. Cliff is a “Hands on kind of guy” who believes that good business is built on trust and mutual benefit. This explains why he has had great success in the Recycled Catalytic Converter Industry. Cliff has now been published multiple times in Recycling Today, Recycling Product News and other trade magazines offering specific insight on the Catalytic Converter Recycling industry. Buddy Automotive Innovations has been serving well over 1,000 professional automobile recyclers across the US, Canada, and Australia for going on 14 years. Buddy Automotive was founded in July 2003 by Mike Lambert and John Johnson. Inventory Buddy and Bid Buddy are designed specifically for Auto Recyclers to make their businesses more efficient and profitable. We currently have 2 full time sales reps and 6 full time support technicians and over 1400 Buddies in use today. John Johnson Jr (a.k.a. Triple J) graduated from Eastern Connecticut State University in 2003 with a BS in Computer Science and a minor in Business Administration. All throughout college, John worked at his father’s salvage yard, Parker Street Used Auto Parts in Manchester, CT.
All of the software John has created for the industry is based on his desire to find a better way to do things. He wrote his first program in 2000, a Junk Car Database that handles all the paperwork processing, title tracking, and state reporting for all vehicles coming into the yard. This program is still in use today. John also worked for the ARA Services Corporation back in the early 2000’s to first help them extract data from Checkmate Systems. It is thru this work that John met Mike Lambert. After working via phone for over a year, John and Mike finally met face to face at the IT show in 2003, and John was showing his prototype of what is now the Inventory Buddy to Mike, and within 3 months we had opened a new business together to market the Inventory Buddy, and then Bid Buddy. John also has a real passion for the Agricultural Fair industry, and is a member of the Hebron Lions Club that puts on one of the top 3 Fairs in CT annually. John is a Past President of the Hebron Lions Club and Past Fair Superintendent of the Hebron Harvest Fair. John was also the very first person to receive an official designation of Certified Volunteer Fair Manager from the International Association of Fairs and Expositions in 2015. Started in the Automobile business at the age of 15 for a parts house, went from stock boy to salesman in about a month. Then I bounced around the dealership circuit for years from parts to warranty clerk to a service writer and wound up being a wholesale parts salesman/manager for a family of dealerships before I started at Chuck's Auto Salvage in 2011. 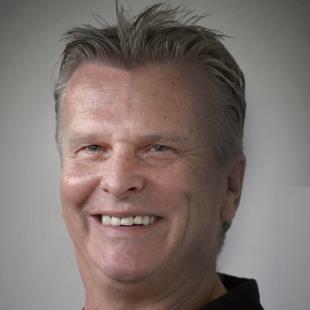 Mike Kunkel – Mike has 35 years’ experience in the automotive industry, starting at his family’s new auto parts store, machine shop and paint & body equipment business. Mike partnered with Bill Stevens to purchase Counts Consulting after a 20 year career as general manager of American Auto Salvage in FTW TX. 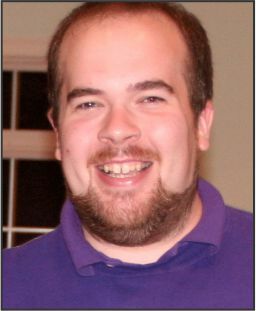 Mike is also a past president and one of the founding fathers of TEAM PRP. He has also been a featured speaker at multiple state association meetings, URG, Car-Part, ARA and other industry events. Using a basic and proven platform, Mike looks at the entire operation. Mike is known as an expert at helping recyclers in the buying of product, inventorying it, processing it, selling it and getting it to the customer profitably. Whether you are struggling to make money or want to profitably grow your business, Mike Kunkel will deliver results for you! 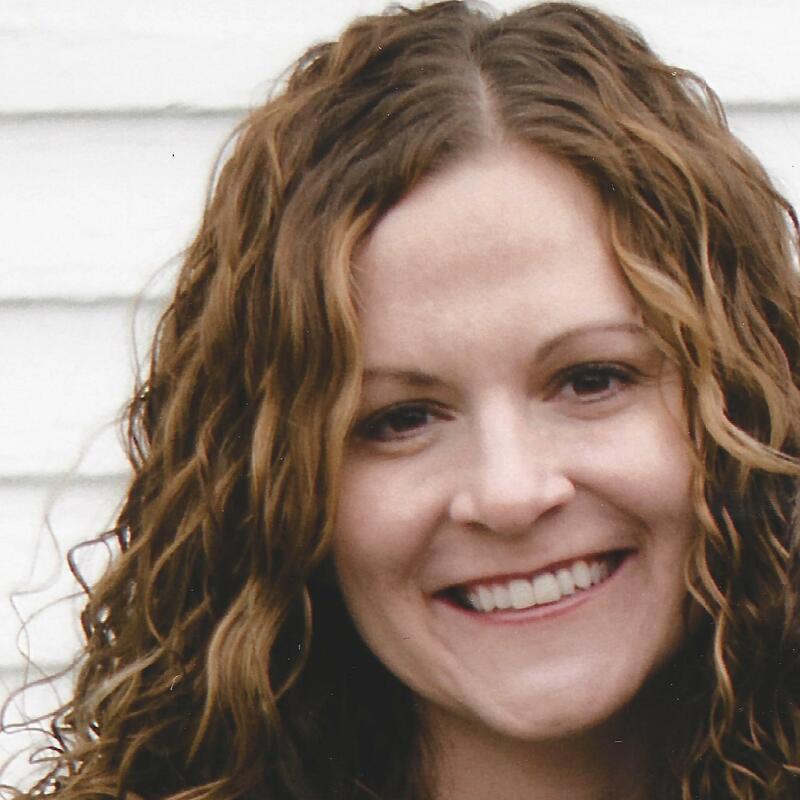 Amanda Looney, Director of Talent Acquisition at IAA, brings over 10 years of staffing experience to her current position. 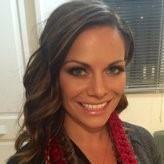 Amanda aligns IAA recruitment efforts with current trends and develops strategy based on data. 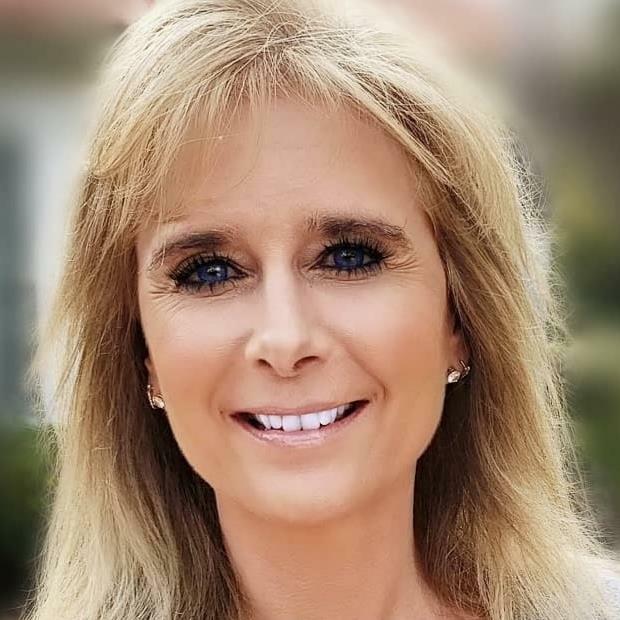 She works closely with valued partners to connect with and leverage talent networks within the industry such as SkillsUSA and the Collision Repair Education Foundation. She also manages the IAA high school work-study programs with Cristo Rey Jesuit High School and Christ the King Jesuit College Preparatory School. Currently, Amanda is focused on the continued development of the IAA Internship program by incorporating group orientations, think-tank sessions, and a Lunch and Learn series with IAA senior executives. 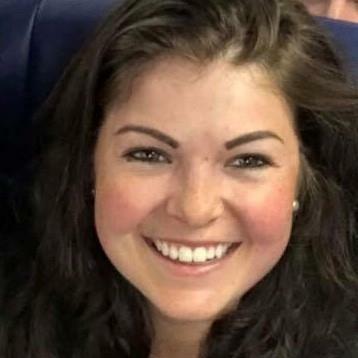 Amanda received her Bachelor’s degree in Psychology from Purdue University and volunteers with the Almost Home Foundation, an animal rescue out of Elk Grove Village, IL. 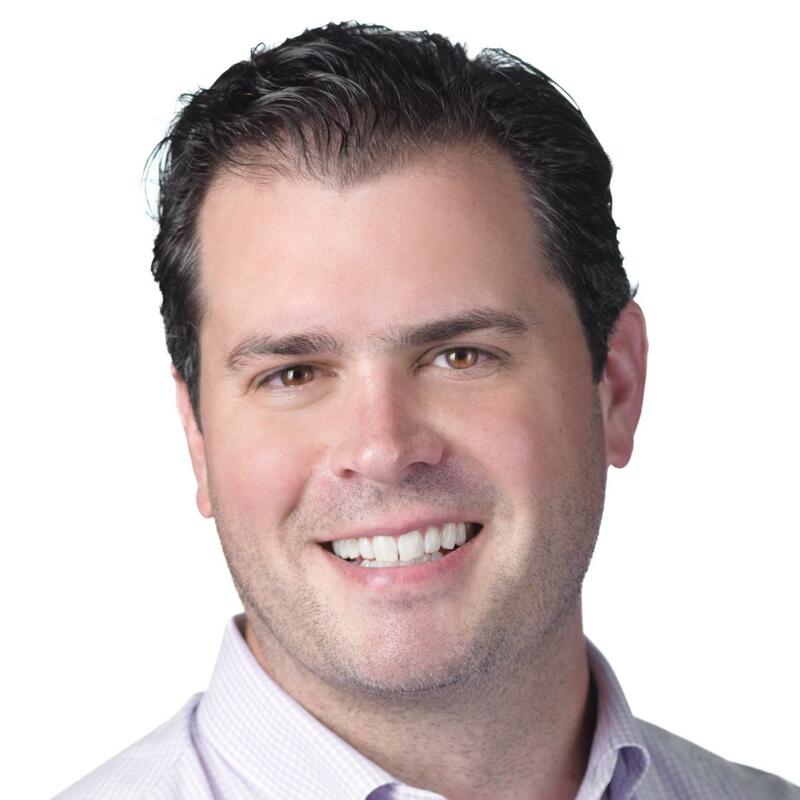 Justin Mahlik is the senior vice president of business development for IAA. Justin started his career at Robert W. Baird as an investment banker in the business services group where he was directly involved in approximately $1.5 billion of equity offering and merger and acquisition activity. After 3 years in Baird’s Milwaukee office, he relocated to London to help build out Baird’s European business services platform. After returning to the United States, Justin joined BP Capital Management where he was responsible for sourcing, negotiating and executing new acquisitions as well as monitoring existing portfolio companies. He had oversight of three portfolio companies and executed 11 add-on transactions. Most recently Justin was the co-founder and Chief Operating Officer for DRIVIN, an automotive-focused data, and predictive analytics platform. DRIVIN was acquired by KAR Auction Services in 2017. Justin holds a BS in Finance and Economics and a minor in Accountancy from the University of Notre Dame, and an MBA with a concentration in Finance from Northwestern University’s Kellogg School of Management. Jim McKinney is the owner of EZ-Route and General Manager of Milliron Auto Parts. With over 25 years in the automotive industry Jim got his start in the recycling industry as a dismantler at Milliron Auto Parts and worked through the ranks to become a Site Manager for Greenleaf of Ohio. Jim created EZ Route and other innovative solutions for recyclers. Jim was also a 3 term president of OATRA (Ohio Auto and Truck Recyclers Association) and has been very involved with legislation affecting the recycling industry. George Metos runs GM Consultants, a business brokering and valuation agency specializing in full-service & self-service auto recyclers, scrap yards, and towing companies. He coaches operators as to their current company worth, and how to increase it over time. When operators decide to sell, he represents them to potential buyers, whether national chains or regional powers. Walter began working on cars when he was about 11 years old and it was at that time he became a regular customer to the salvage yards near his hometown. Following college, he worked for Unisys on airlines software before being presented with a job offer from Hollander in 1993 thanks to his interest in cars and salvage yards. Since 1993 he has been part of Hollander and started as a Windows developer working on applications such as Ebook, Accupart and the software system used by our interchange writers to enter interchange information. He was a team lead during the development of Powerlink and eventually managed the Powerlink development team. In 2014 he transitioned to his current role as Senior Product Manager for Powerlink. Vanessa changed gears in her career in 2005, moving from the insurance industry into the Salvage industry. Over 4 years ago she found her fit within Legend. Legend Smelting and Recycling was founded in 1982 in Newark, Ohio and for 36+ years has been a preferred buyer of Platinum Group metals from spent catalytic converters in North America. We expanded operations to Texas in 2017 and look forward to continuing the education and building of relationships in the southern region. Mike Orlich is a father, self-proclaimed BBQ aficionado and a Business Development Manager at APU Solutions - in that order. 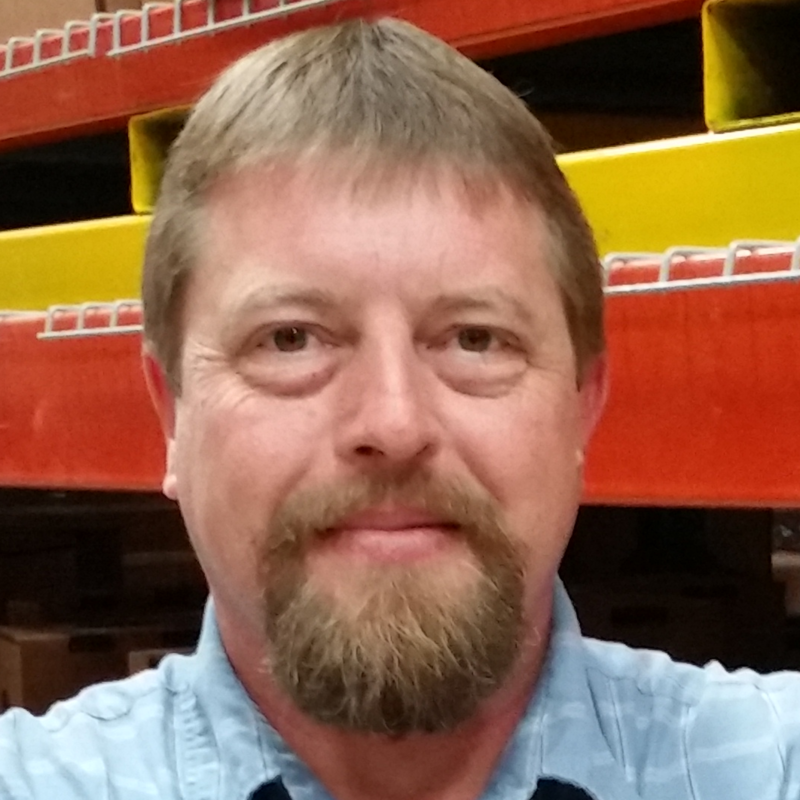 Since 2006, Mike has helped grow the APU supplier network to over 1300 alternative sources from various solutions; recyclers, re-conditioners, surplus, recovered OEM and aftermarket. Mike is an expert at helping APU partners set up their profiles that are utilized on the site, training, and coaching, mediate partner relationships, and supply them with DataNetwork reports that help increase sales and provide tools for better parts buying. 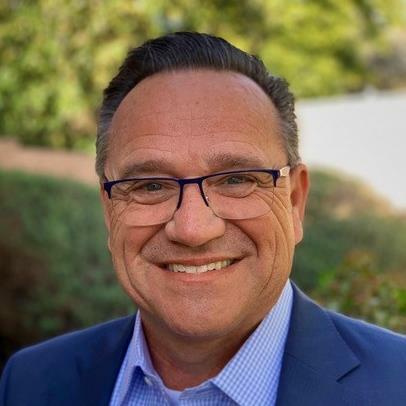 Prior to APU, Mike had experience at Greenleaf; during his time there he performed multiple roles from pulling parts to business development, all providing him equitable experience that he brings to his supplier partners today. In his free time, he enjoys gardening, looking for mushrooms, fishing, trying different beers and vodkas, and hanging out with family and friends. Ram is a Captive Analyst with CIC Services, where he helps with compliance, financial modeling, operational support, and advanced financial strategies for the Captives. He has spent his whole life in the hotel industry while also having a background in Supply Chain Management and Insurance. He also holds a Life license active in TN. Ram is a very adventurous person and likes to learn about new industries and concepts. He is still very involved in the hotel industry and is part of several major hotel associations. 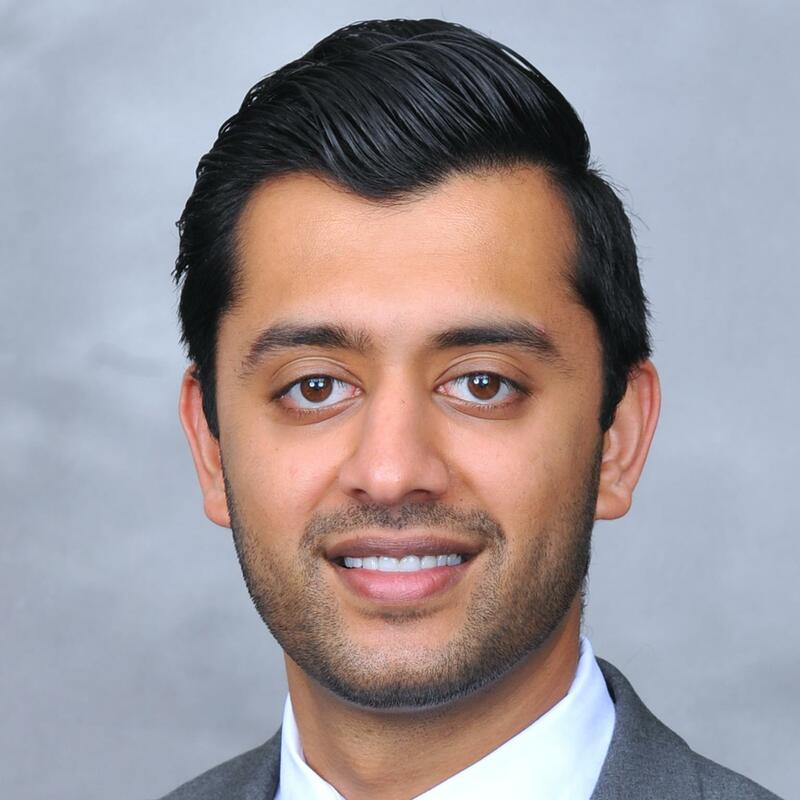 Ram received his Bachelor of Science in Supply Chain Management from the University of Tennessee in 2015. Ram can be found playing golf, going to UT sporting events, or hanging out with friends when he isn’t working. He resides in Lenoir City, TN. Raj Pofale is the founder and CEO of Claim Genius, an Artificial Intelligence (AI) technology company with a niche in image and predictive analytics. Claim Genius’s technology facilitates the carrier receiving instant FNOL and damage appraisal and determines repair vs. total loss with initial cost estimate. 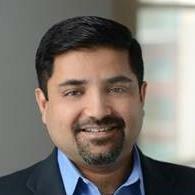 Raj is a senior technology executive and product development leader with more than 20 years of experience in large-scale enterprise platforms. With a passion for technology and entrepreneurial skills, Raj invented a disruptive AI product with the intent of making “Touchless Claims a Reality." During the session, Raj will address why insurance needs AI and photo estimates. He will also share how Photo Estimatics is bringing innovation to the Claims & Recycling industry. Raj said he firmly believes that his vision for the future roadmap and power of AI will make this disruptive idea a revolution for the InsuranceTech industry. Kim has spent 30 years of her career in a variety of roles including Tax Manager for a CPA firm; Director of Finance for the Jacksonville Jaguars; CFO for Liz Claiborne Shoes; Director of Internal Development for TMM, Inc; consulting for various companies in the Jacksonville area on financial reporting and systems integration and currently employed with Fenix Parts, Inc. as VP Finance. In her various roles, Kim was responsible for the Company’s accounting, finance, all tax and financial audits, credit reporting, HR, banking, development all internal financial reporting systems, processes, and integrations. As Director of Internal Development at TMM, Inc. she was responsible for the development of the IT department, development of the Move Management business system, development of data warehouse reporting, implementation and design of software for increased communications and streamlining of processes. 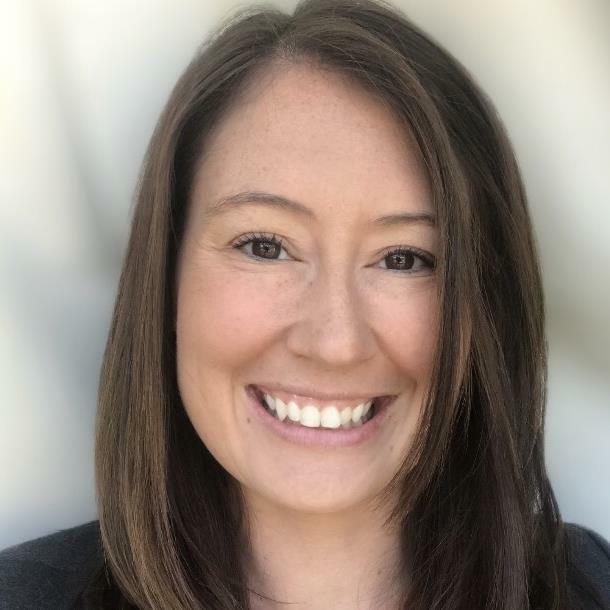 As VP Finance at Fenix Parts, Inc., she is responsible for streamlining monthly reporting and accounting for 10 locations, integration of acquisitions, training and support for individual locations and development of standard processes. Rob has been working in the recycling industry for over 25 years. He started out as a delivery driver and worked his way to General Manager. He had 23 years of service at Jerry Brown’s Auto Parts located in upstate New York. While working at JBAP he led a sales staff of 8 and had over 55 employee’s working with him. Along with the owners they turned JBAP into a multi-million-dollar successful recycling operation. Rob spent 4 years managing Bishops auto parts in Middletown CT, he successfully increased their yearly sales by 400 percent. Rob currently has partnered with Cornell’s Auto Parts located in Greenfield Center, NY. He hopes that along with the Cornell family he will he be just as successful has he has been in the past. Rob has been speaking and consulting for the past fifteen years and has been a part of very successful insurance programs. He has sat on the boards on the N.Y. ARA, along with many boards of the PRP-NE and Team PRP national. In 2010 Rob was voted the Locator general manager of the year by his peers in the industry. Rob has been speaking on the national level for many years at conventions in New York , New England , Michigan , Illinois, Indiana, Virginia, Texas, Minnesota, Ontario ARA associations , and the URG conference and ARA national to name a few. Rob’s desire and passion for the industry is second to none and he enjoys sharing everything he knows with the industry. Brian J. Riker, Director of Transportation Compliance and Services for eComply®. The holder of a Class A CDL, 15-year Manager and Owner of a 14 Truck fleet, multi-state operation serving the Auto Transport and Towing Industries, Brian is recognized across the US as an industry expert on matters of Driver Safety, DOT and FMCSA Regulations. 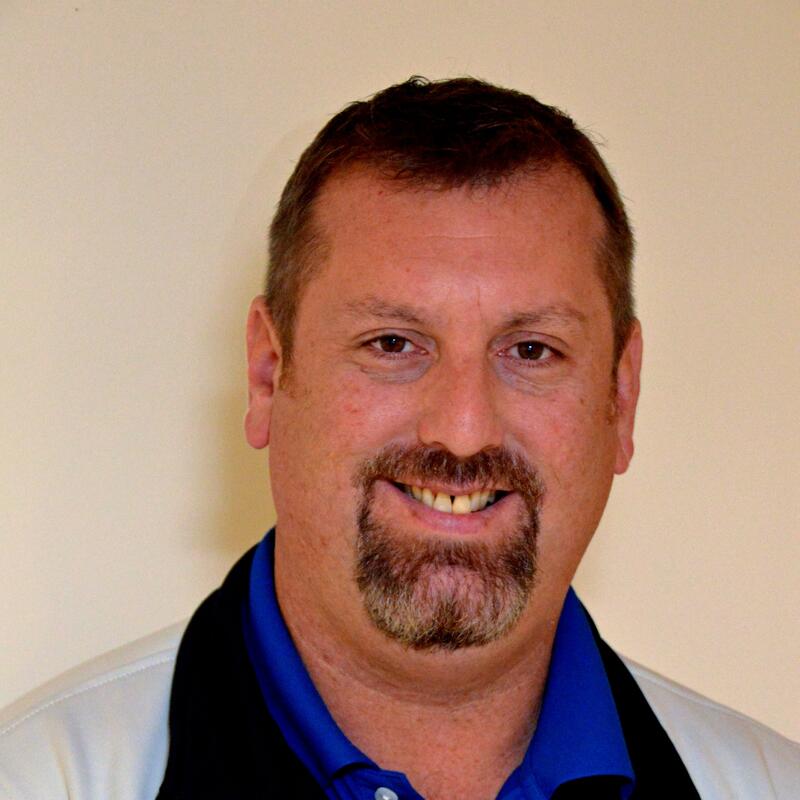 An active member of the leadership team of eComply®, living in NE Pennsylvania, Brian rounds out his contributions to eComply with 30 year’s experience as a Pennsylvania CDL third-party examiner, driver trainer and fleet compliance management. He is a frequent contributor of expert comment and position statements for State and National Associations on regulatory issues associated with transportation-related matters. 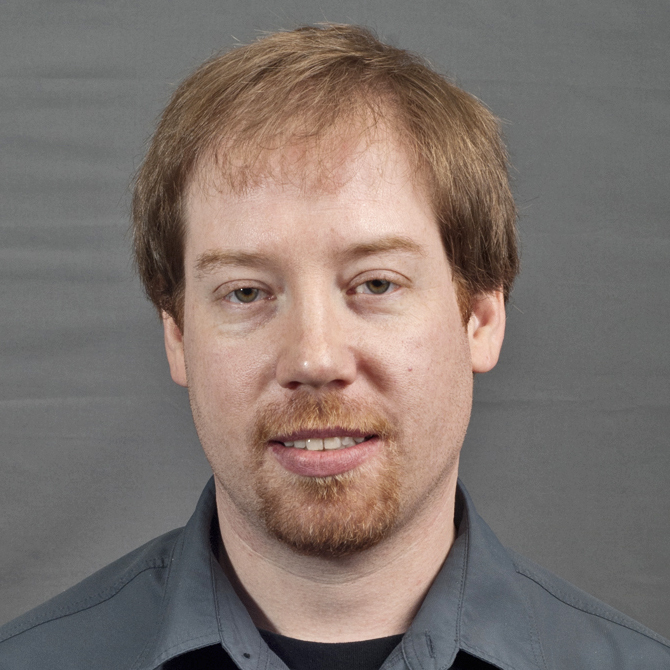 Patrick Riordan has spent the last 15 years in the I.T. world across multiple industries. He is passionate about working on improving IT workflow from the yard level to the executive level, implementing new technologies and strategies to increase productivity and most importantly stability in the environment. Becoming part of the URG team, he has assisted in the growth of new membership and new products for the recycling industry. Randy has been with a Principal with CIC Services since 2012. He has been a Sales and Marketing professional since 2007, when he joined Procter & Gamble’s Brand Management Group. His career transitions have taken him from P&G to Pfizer Pharmaceuticals to theEllison Group to Jewelry Television. He now leads Business Development for CIC Services, LLC. Randy has an entrepreneurial bent and is active in investment real estate. He is an Owner and Principal in Woodlands Management, LLC. His partnerships manage over 400 residential properties. Randy received his Bachelor of Science degree from the United States Military Academy in 1992. He served as a Tank Commander in the U.S. Army from 1992 to 1997. Randy resides in Knoxville, TN with his lovely bride of 24 years, Shannon. They have five children. Randy and Shannon helped found Paideia Academy, a Classical Christian School in Knoxville that is entering its 15th year with over 200 students. 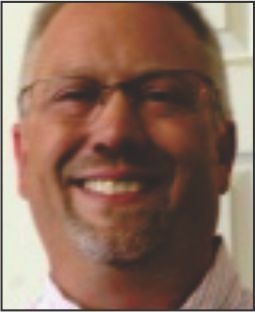 Randy still serves as School Board President. 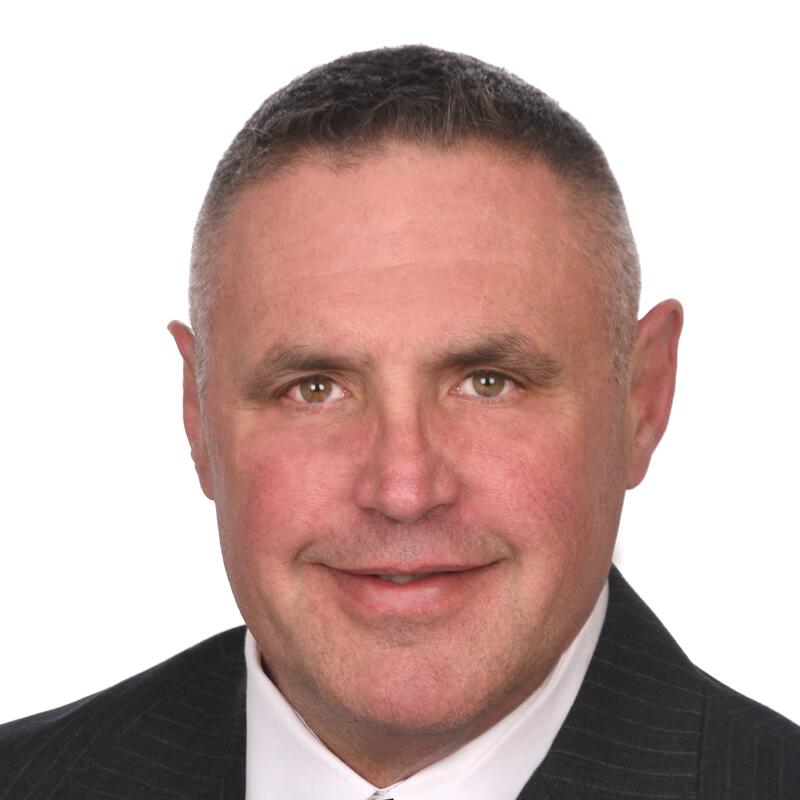 Russell Sewell is a financial professional of 30 years with broad experience in investment banking, venture capital, real estate, mergers and acquisitions, and capital formation. 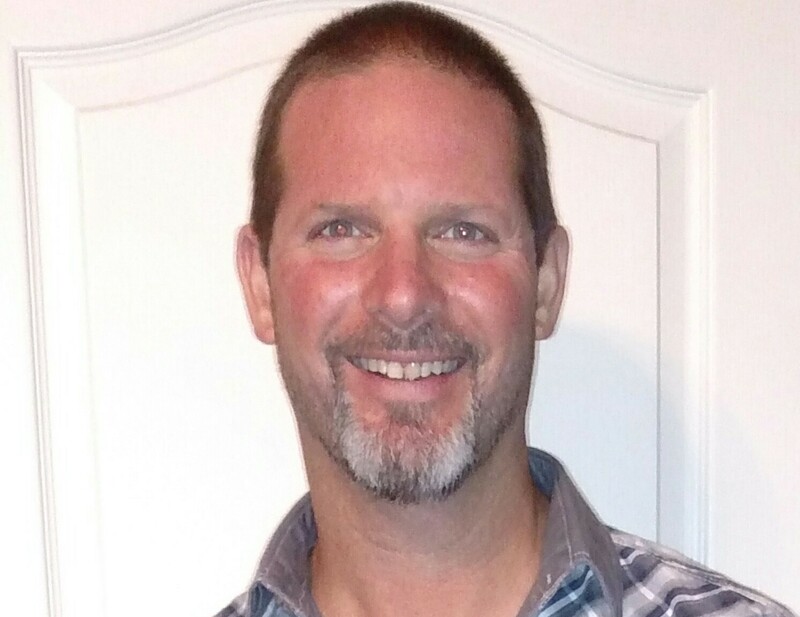 A relative newcomer to the auto recycling industry, Russ has found a great fit for his competencies in this industry. He joined Arizona Auto & Truck Parts in 2016 as CFO and is passionate about its success. When not at work, Russ enjoys spending time with his family, working on his latest Landcruiser project, and surfing. 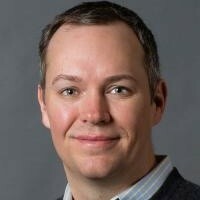 He has a Bachelors of Arts in Political Science from Brigham Young University and a Masters of Business Administration, with an emphasis in finance and strategy, from the Marriott School of Business Management. As a Hollander project manager, Mike works closely with customers to implement Hollander’s Production Management and Powerlink software solutions. He also conducts training sessions at customer sites, all the while seeking out trends and identifying business best practices in the salvage/recycling industry. A 25-year IT veteran, Mike has spent the last 15 in the recycling/collision industry. A graduate of Tennessee Tech University, Mike joined Hollander in 2007, and has worked with hundreds of Hollander customers across the U.S. and Canada. Amanda currently works as a Sr. Regional Business Manager with Recycled Parts Suppliers working to increase supplier parts sales through education, parts exposure and Yard Management Implementation. Starting out as an estimator's assistant she has proven herself an asset for many different related automotive industries including estimating for Caliber, Consulting with hundreds of collision shops when at Mitchell and service writing for Mercedes Benz. Amanda is excited to be here today to bring new ways to get in front of collision shops and create sales within that space. I have been at eBay for 3 years and have spent 2 of those years in the Merchant Support Organization. Currently, I am part of the eBay Seller Health team specializing in the Parts & Accessories category. During my partnership with sellers, I ensure the health, optimization, and growth of their business. With being on the Seller Health team, I focus on case management, seller performance, risk, policy, business development, and listing optimization. To ensure the success of sellers, I partner with them for a period of time and dedicate my efforts to their business. I am very passionate about business and e-commerce, which is what drives my motivation to succeed in my mission to facilitate measured growth and success by cultivating meaningful partnerships across all lines of business. 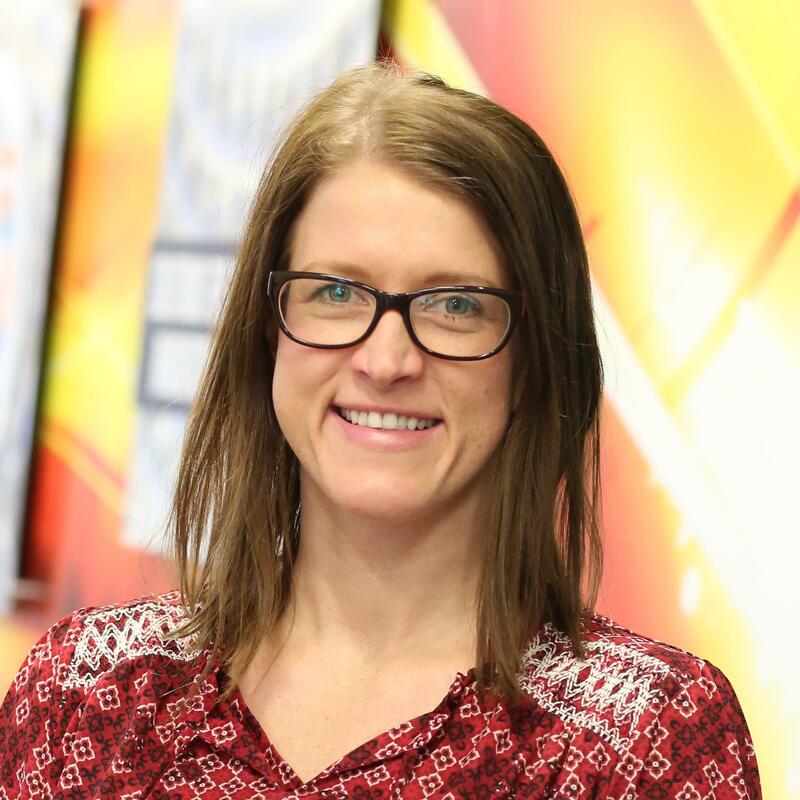 As an eBay Sales Specialist at Hollander, Amanda helps new sellers get acquainted with eBay, maintain eBay best practices, optimize sales and stay up-to-date on the ever-changing online-parts marketplace. Prior to joining the Hollander team, she was an eBay Top Rated Powerseller for ten years which was split between selling new and used motorcycle parts and new auto parts. 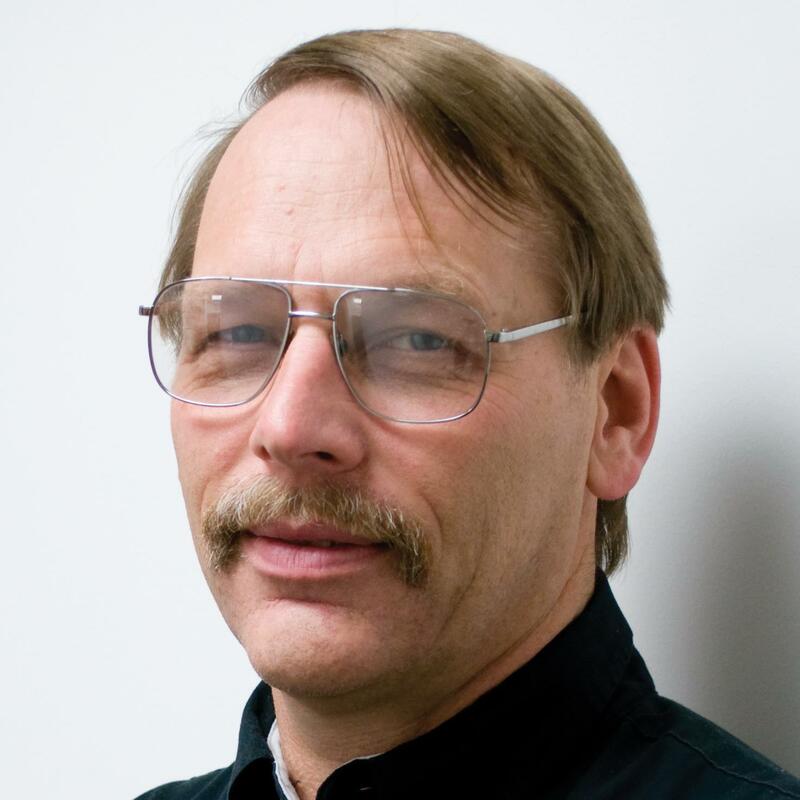 Marc Waterman, ETE REMAN’s Outside Sales Representative, has been in the transmission business for over 20 years. 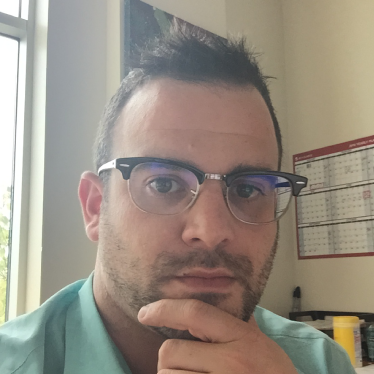 From AAMCO, to Transtar, to GPS, Philadelphia native, Marc, is an expert in the industry. Kristi has worked in the recycling industry for over 14 years. After working for Actual Systems since 2005, she joined URG in 2011 and is currently the Director of Business Development. Kristi received a B.S. from St. Cloud State University and an M.S. from Colorado Technical University. Her main focus is to expand and improve URG’s programs and benefits. Seeing first-hand how much technology has changed in the industry she is passionate about helping recyclers achieve their full potential. Rachel Whetstone co-founded Allied Auto Salvage, Inc., in 2005 and has 21 years of experience in the industry. She started her career in the auto salvage industry at Economy Auto Salvage in Winona, MN. She loves to see new ideas and strategies successfully implemented. She believes that enthusiasm is contagious and has the power to shape the future of our industry. Rachel has two wonderful daughters, Sophia and Hannah. Since 2000, Rachel has served on the Pinnacle Computer Features Committee; she is a former URG Manager and former PRP West Board of Directors Chair. Rachel is a founding partner of SmartCycle, a business intelligence platform for the auto recycling industry. 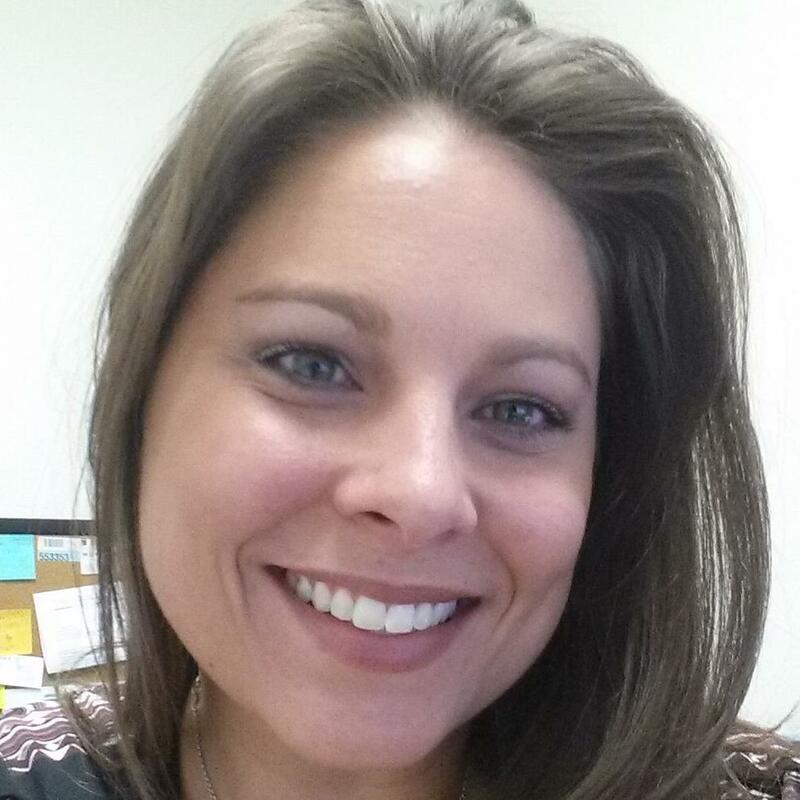 Jen (Jencey) Wilson has been training on a major yard management system since 2004. In 2006, she created her own company devoted to training and consulting salvage yards. The mission, to enhance a yards comprehension of their YMS product by streamlining processes and training. 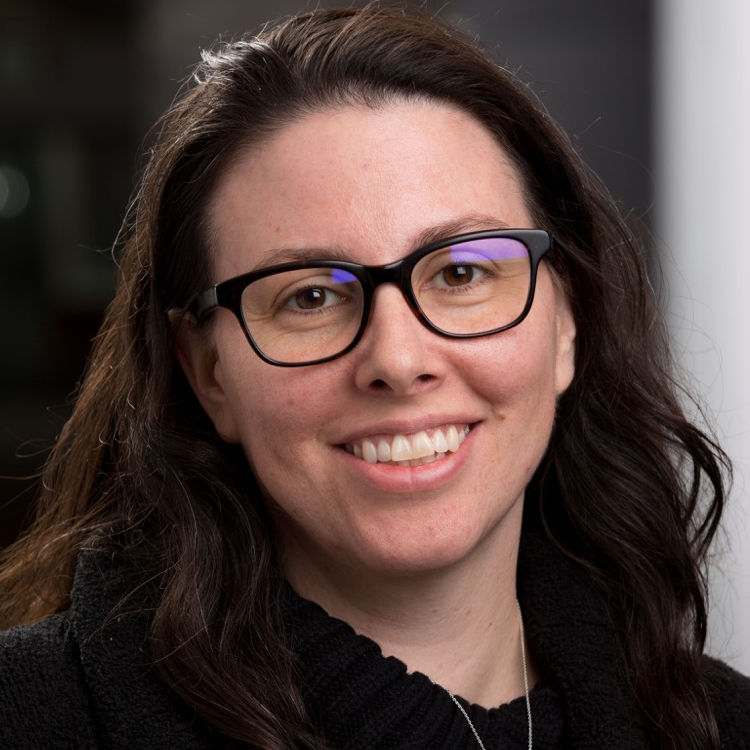 Armed with over 15 years of customer service and technical knowledge she has a 'boots on the ground' approach to looking at problems and processes. With 16+ years of work dedicated to Hollander, and 12 years working for a salvage yard prior that, Laurie Woods is a seasoned professional in the auto recycling industry. As one of Hollanders expert Field Services Engineers and Trainers, she is exceptionally knowledgeable about Hollander products, and has the unique ability to pass that knowledge and experience on to customers through her training sessions. 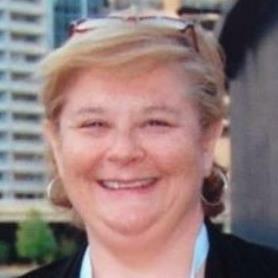 Laurie also enjoys exercising her bilingual vocabulary by supporting and training Hollanders French speaking clients. Join Laurie for an insightful and fun session. Lee Worman has experience with almost every possible scenario within our industry. He grew up working at Worman’s Auto Salvage in which he was a parts puller, delivery driver, warehouse worker, sales person, and buyer. During this time he also went to Little Rock University where he graduated with a degree in business management. Three years after graduating in 1997 Lee took a large role in negotiating a merger between Worman’s Auto Salvage and Linn’s Truck Salvage to form Preferred Auto & Truck Parts. It was during that time he experienced working directly for a board. In 2003 Lee played a leading role in buying the Linn’s half interest in Preferred Auto to once again work in a family environment. He enjoyed working next to his father until he and his sister purchased his father’s remaining interest in the business in 2006. In 2010 Preferred Auto was at its most profitable point ever and growing double digits annually. At that time Lee negotiated a deal with LKQ to sell the family interest in the business. He agreed to stay with LKQ where he won 5 President’s Club awards with his best two years being 2016 and 2017 before leaving the company in March of 2018. He was also a past URG manager as well as a founding member of Absolute PRP and the PRP trailer system. Lee has been through so many situations in our industry that give him the confidence and experience to assist you in every situation. He has owned a very successful salvage business and been a successful manager in a corporate environment. That gives him the unique experience of understanding strengths and weaknesses of both the family owned businesses and corporations in their day to day activities as well as when mergers and acquisitions may be a part of the situation. He has also been a part of a family succession plan which is always helpful when dealing with family owned businesses who want to make sure they are prepared for every scenario. While he has experience in all of those areas his biggest strength has been profitability. All 5 of his President’s Club awards were given for his ability to exceed profitability goals as well as sales goals on a consistent basis in comparison to similar locations. It was this ability to grow revenue and profit that kept LKQ in pursuit of Preferred Auto for over 4 years before finally getting Lee to sit down at the negotiating table. Bo was born in Corinth, Ms. and received his BBA degree from Millsaps College in Jackson, Ms. where he also was a four-year letterman in football and graduate assistant coach. Upon graduation, Bo was employed by what is now SunTrust Banks in Orlando Florida from 1980-1987 serving in various positions reaching the level of Senior Vice President before leaving to help manage a growing independent auto auction. Bo remained in the auction business since 1988 serving in various capacities, including fleet/lease manager, factory manager, National Director of salvage, and General Manager. He started a salvage auction division for Orange County Auto Auction and fell in love with the salvage auction industry and was totally on that side of the auction industry from 1995- 2013. Bo was an integral part in helping ADESA form the salvage auction entity known as ADESA Impact that was later acquired and is now part of IAA. In 2005 Bo and two close friends started Insurance Salvage Solutions which served the Florida market growing to 4 locations and remained open until the end of 2013. In 2015, he formed a logistics company called Recyclers Cross Dock that coordinates the movement of used auto parts between 43 independent automotive recyclers in six states that are trading partners. RCD has enabled the independent recyclers to share inventories and delivery systems to better compete with LKQ in used parts sales. Joe Wright has spent over 35 years in the light and heavy-duty parts business. He began by working for an advertising agency that specialized in automotive and heavy-duty clients. Joe then moved to Navistar International, the heavy-duty truck business in their parts operations. He then spent time at Aftermarket Technology in their light-duty remanufactured engine and transmission business. 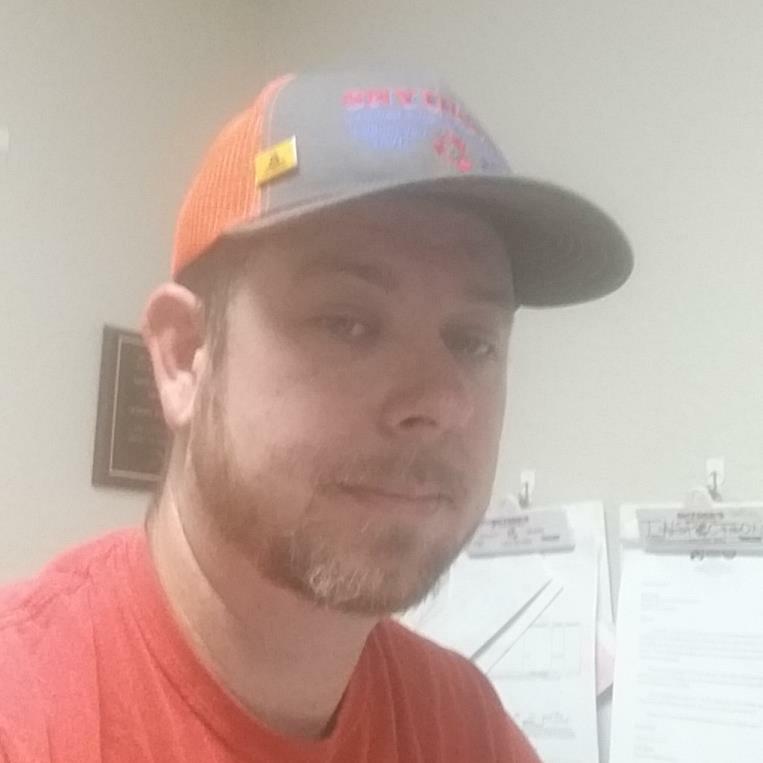 Over seventeen years ago he joined the team at Dorman Products/The Connection and is happily focusing on growing the sales and profits of customers in the recycling industry and other specialty markets for Dorman Products. 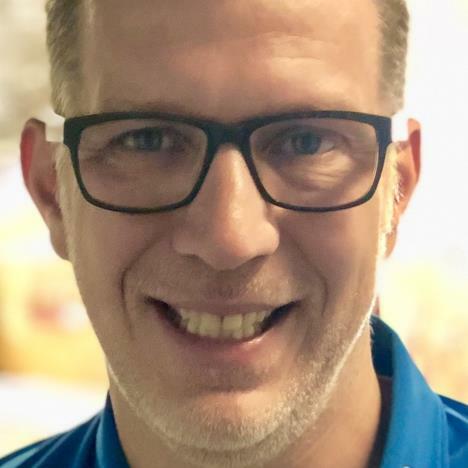 He is currently the National Sales Manager for Specialty Markets for Dorman including Production Remanufacturing, Traditional WD’s, as well as recyclers. In addition to knowledge in the over 270 product lines Dorman Products offers, he is an expert in the proper wear of flip flops.